PaycheckPlus was founded by Anne Reilly in 2005. Head quartered in Drogheda, Co Louth, PaycheckPlus provides Irish and UK Payroll outsourced processing services to clients across a range of sectors. The emphasis of the Payroll Team is to help employers structure their payroll in the most efficient and cost efficient way while ensuring legislative and compliance requirements in a timely and accurate manner. PaycheckPlus is the recipient of a number of awards including The Global Payroll Provider of the Year 2017. 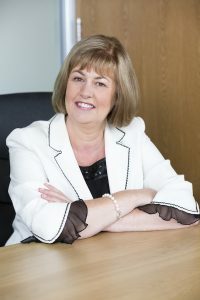 Anne is a mother of 4 boys, a former lecturer in Irish payroll and a graduate of the Institute of Directors. She sits on a number of Boards and enjoys speaking and sharing her experience in business with aspiring Entrepreneurs.